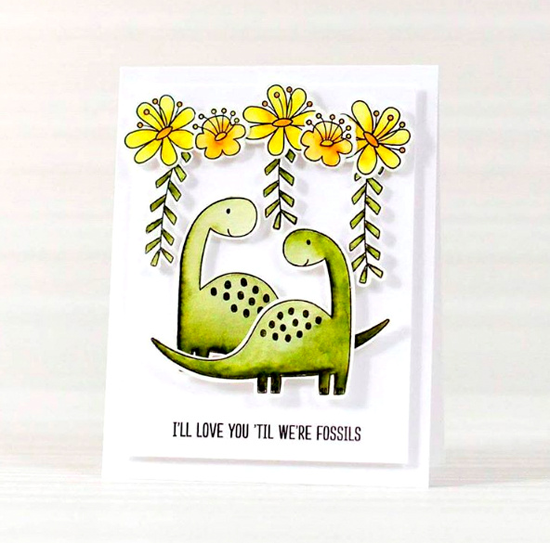 Our Prehistoric Fun stamp set paired with the Blissful Blooms stamp set looks oh so CUTE on this design from Victoriya! I love the cascading leaves creating a canopy for the smiling dinosaurs. 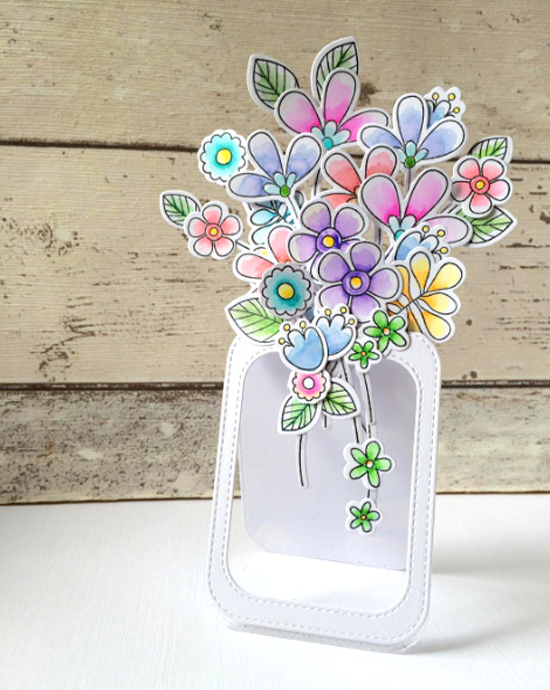 Creative Team Member Joy Taylor spotted Amanda's lovely design using the Pretty Posies and Build-able Bouquet stamp sets in tandem. Joy says, "Amanda's card is just stunning — very understated and yet striking." And I couldn't agree more. 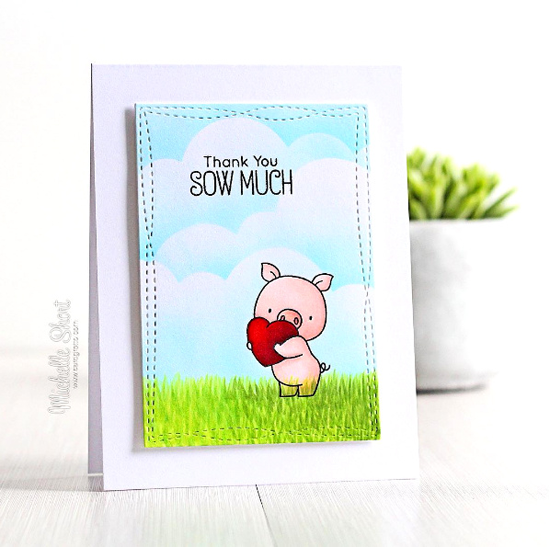 There's basically nothing cuter than a piggie clutching a heart on a thank you card, and Michelle nailed this sweet design featuring the Hog Heaven stamp set. The grass and sky are divine! 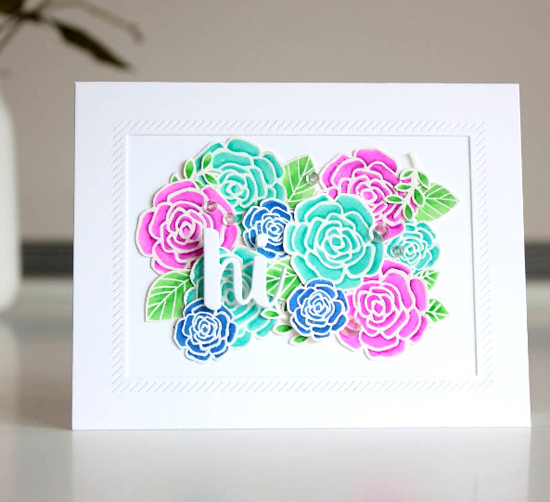 How GORGEOUS is Keren's out-of-the-box design featuring the Build-able Bouquet stamp set and Die-namics? What a pretty masterpiece to set out on the mantel or on an end table to beautify the recipient's home. 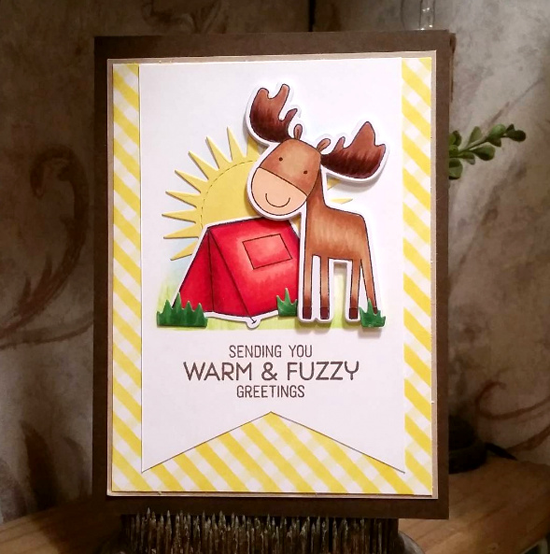 Summertime is a great time to camp, and Rebekah's card featuring sunny colors and the Warm & Fuzzy Friends stamp set and Die-namics is quite a treat! Speaking of camp, we're back with our third and final session of Camp Create on the MFT blog. Check out all of the fun HERE. Thanks for using MFT, ladies! You've left us inspired, and that's what it's all about! See you tomorrow for another great Sketch Challenge, and look for the next MFT Color Challenge this Thursday, August 11th. Wow! I am so excited to be 'spotted'! Thanks MFT!!! I Love ya!!! Congrats to you all!! Each card is beautiful!! !